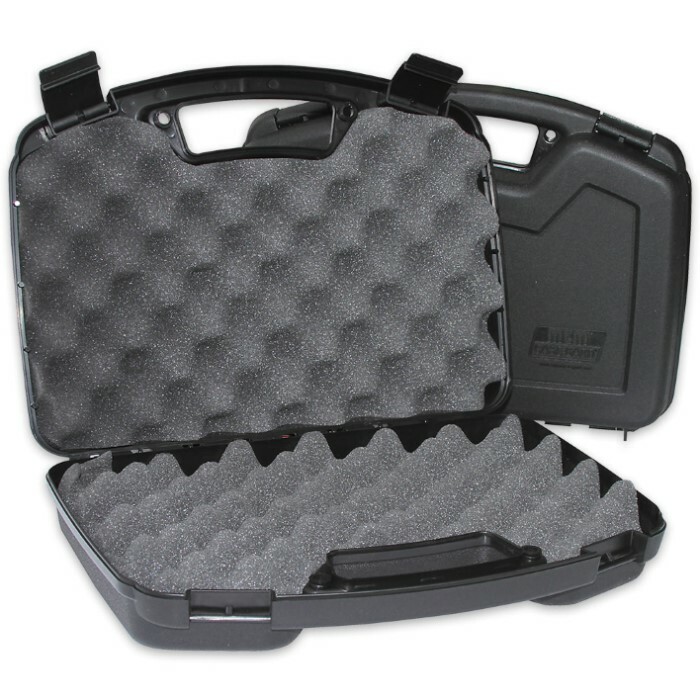 Single Pistol Handgun Case - Up To 6 In. Revolver | BUDK.com - Knives & Swords At The Lowest Prices! MTM, the leader in high quality and innovative gun cases, has the most complete line of cases in the world! The Single Pistol Handgun Case has a durable construction and stylish design to accommodate automatics and scoped revolvers with barrels up to 6”. 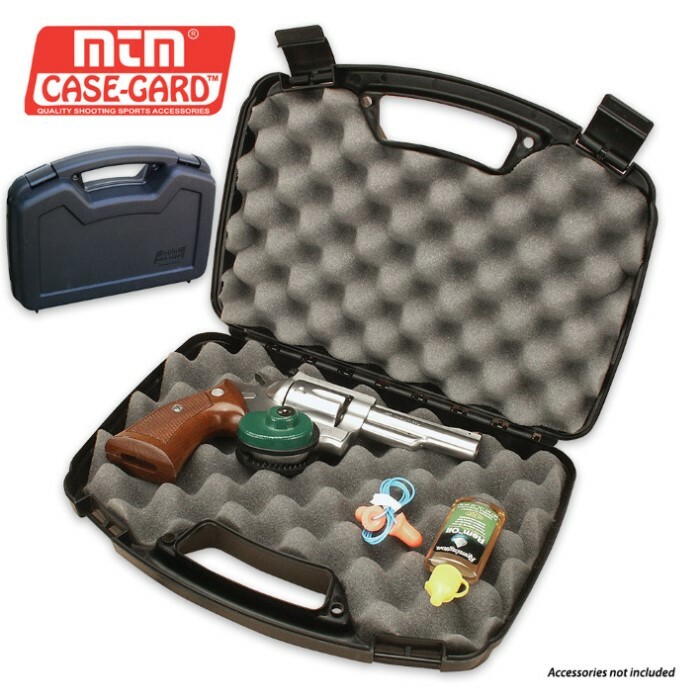 There is also room for a trigger lock or padlocks (not included) and the case is pad lockable. 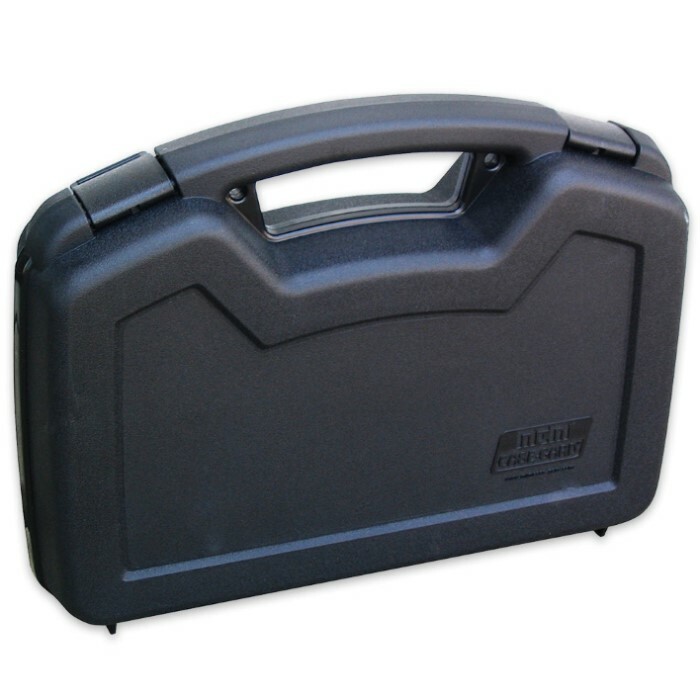 Made of rugged polypropylene, this case is scratch resistant and offers reliable latches and a large comfortable handle.